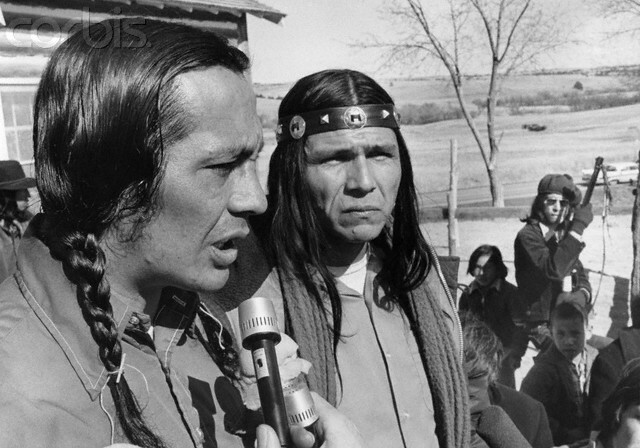 In February of 1973, members of the American Indian Movement (AIM) began a 71-day campaign to defend the sovereign rights of Native Americans in the territories occupied by the State of South Dakota, specifically at the Pine Ridge Reservation. AIM warriors were fighting against the corruption of the Bureau of Indian Affairs (BIA) leadership and its group of armed thugs known as the Guardians of the Ogala Nation and agents with the FBI. The campaign at Wounded Knee garnered a great deal of national and even international media attention, since it was one of the most visible platforms for Native people to challenge the settler colonial practices of the US government. Because of the effectiveness of AIM, the US government, through its FBI Counter Intelligence program, known as CIONTELPRO, targeted AIM members, as has been well documented in the book The COINTELPRO Papers, complete with declassified US government documents on the anti-AIM campaign. One of the leaders of the American Indian Movement who was involved with the defense of Native land at Wounded Knee in 1973 was Dennis Banks. Banks, along with a lawyer representing AIM, came to Grand Valley State Colleges in October of 1973 as part of a speaking tour to raise awareness about the resistance that AIM and other Native people were engaged in across the country. On November 1, 1973, the student newspaper at GVSC, The Lanthorn, ran a front page story about the visit from AIM leader Dennis Banks. The article is short and does not provide any unique insight into the work of AIM, but it does reflect the fact that people in West Michigan were thinking about the courageous actions of the American Indian Movement. AIM did not make many public appearance in Grand Rapids during the height of their organizing efforts in the 1970s, although according to Dee Ann Sherwood, AIM members would stop off in Grand Rapids on their way to and from other cities. Members of the Native community would host AIM members as they traveled across the country to speak, to raise money and to engage in direct action. In 2009, this writer had an opportunity to interview AIM co-founder Dennis Banks, when he was back at GVSU. This entry was posted in Indigenous Resistance and tagged AIM founder Dennis Banks speaks at GVSU, AIM visits GVSU in 1973, American Indian Movement in Grand Rapids. Bookmark the permalink.